Breakthroughs in gene therapy mean a single shot could cure you ... permanently ... but for a price. February 19, 2015 (Tony Cartalucci - LocalOrg) - Gene therapy involves identifying and replacing faulty or missing genes, or engineering augmentations for existing genes to permanently cure a wide number of conditions and illnesses ranging from cancer and diabetes, to regenerative processes like rebuilding hearts or storing sight and hearing. A breakthrough clinical trial in 2012 saw several patients stricken with incurable leukemia put into permanent remission using gene therapy. The actual process of creating re-engineered cells taken from a patient and reintroducing them costs approximately $15,000, and such procedures are still in the experimental phase. While this cost does not include the required intensive care required to bring a patient from the brink of death back into full health, it is likely the costs in the near future will be drastically lower than current and far less effective cancer treatments are today. The transformative power of this new technology spells the end of big pharmaceutical monopolies who wallow in billions in profits year to year, enabling them to continue dominating modern medical practice through the skewing of regulatory bodies, the stacking of academic studies, and even the expansive, global bribery of doctors and other medical practitioners to push big pharma's products. As gene therapy enters into mainstream medicine, big pharma has attempted to control it. In order to continue reaping the unwarranted profits, influence, and power big pharma has accumulated over the decades, they plan to compensate for the drastic drop in prices and the fact that many conditions will now be permanently curable, cutting patients off from a lifetime of dependency on big pharma's cocktails. Essentially, they have announced that patients will be placed essentially into lifetime debt in exchange for single treatments that will cure them - cures that will be priced at around $1 million. Drugmakers contend that a one-time cure, even at a price of more than $1 million, would save money over the long term. But there are concerns that health insurers will balk at covering that kind of upfront cost. The therapies do not cost $1 million, keeping big pharma a monopoly does. 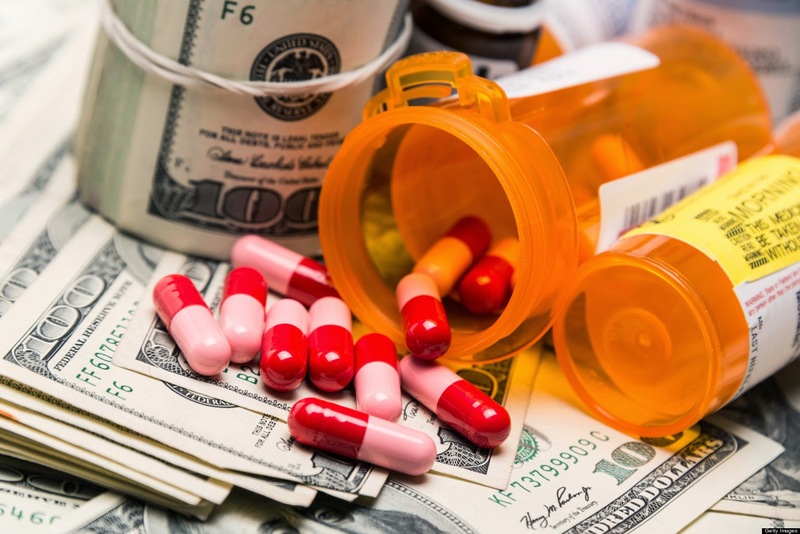 Reuters also includes in their article insurers demanding exorbitantly priced medications be discounted, and under pressure, big pharma was able to cut prices by as much as 50% and still stay in business. Gene therapies are a focus of a much larger, emerging field of applied science called "synthetic biology." Synthetic biology is the use of synthesized DNA rather than the mere cutting and pasting of it to engineer biological solutions much more precisely. There is also a dimension of greater standardization, which is being done by organizations and institutions driven by an ethos of open source information, software, and hardware. While many institutions and corporations are involved in synthetic biology, it is not as inaccessible as biotech has thus far been. In fact, universities, high schools, and independent local "do-it-yourself" labs are engaged in practicing and contributing to the field of synthetic biology. For those that believe big pharma is a problem, the solution is not merely vocally opposing their business models and practices, but also directly challenging them and undermining them by contributing to and building up an open synthetic biology movement. For readers, their first step should be looking up more information online - Wikipedia is a good starting point. For those lucky enough to live near a DIYbio lab, they should stop by and see about participating in their next workshop. Universities are also involved in public outreach and may have workshops or classes available. For those who feel they are unable to directly contribute, simply helping to raise awareness is the next best thing. The more people that understand this new emerging technology, the more voices there will be calling for it to be driven in the right direction for the right reasons. Gene therapy and other breakthroughs driven by a greater understanding of our genome belong to everyone. That big pharma stands now before humanity, dangling life and death over our heads for an arbitrary $1 million like a cartoon-style villain, shows that we have terribly misplaced our trust and this responsibility in their hands. It is time to take it back, and do with it what should have been done long ago - use it to save lives and improve humanity, not merely feed off of it.